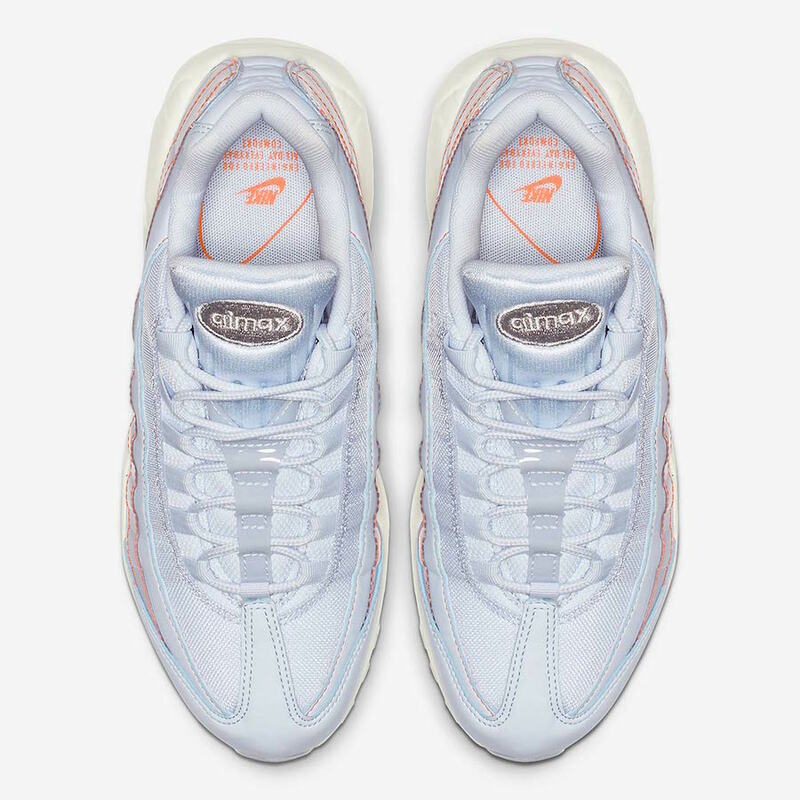 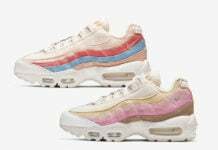 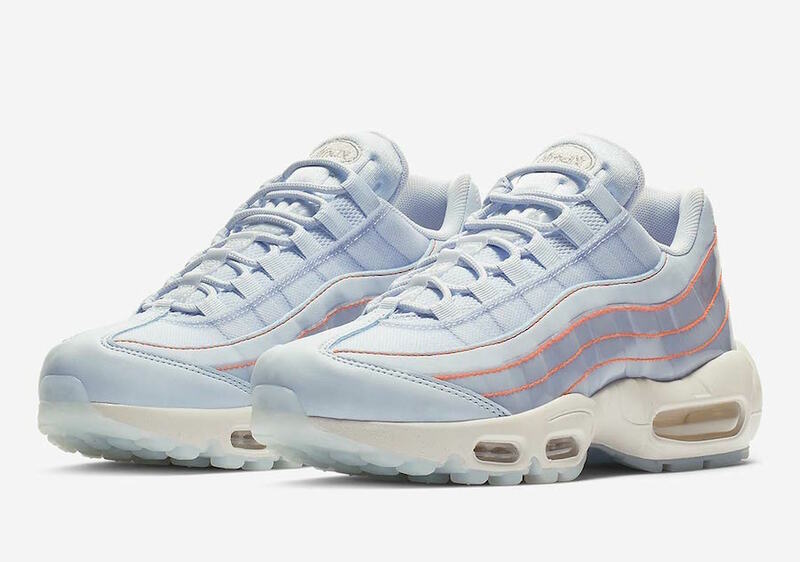 This month and beyond we will see the Nike Air Max 95 release in different colorways including this women’s exclusive. 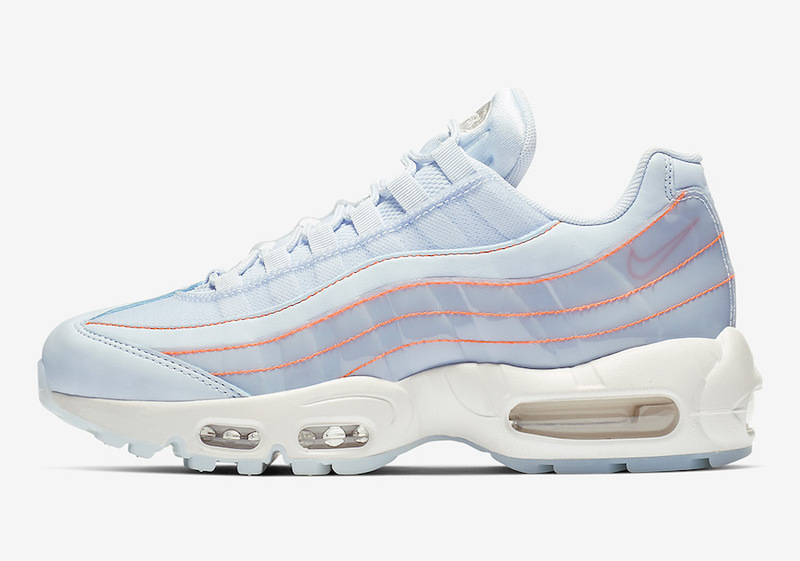 Looking closer this Nike Air Max 95 comes dressed in a Half Blue and Summit White color theme. 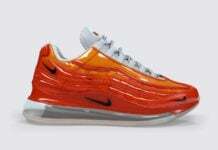 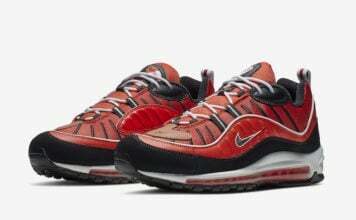 Highlighted with a translucent upper on the panels while Orange makes up for the stripes on the sides and outlines the Nike Swoosh. 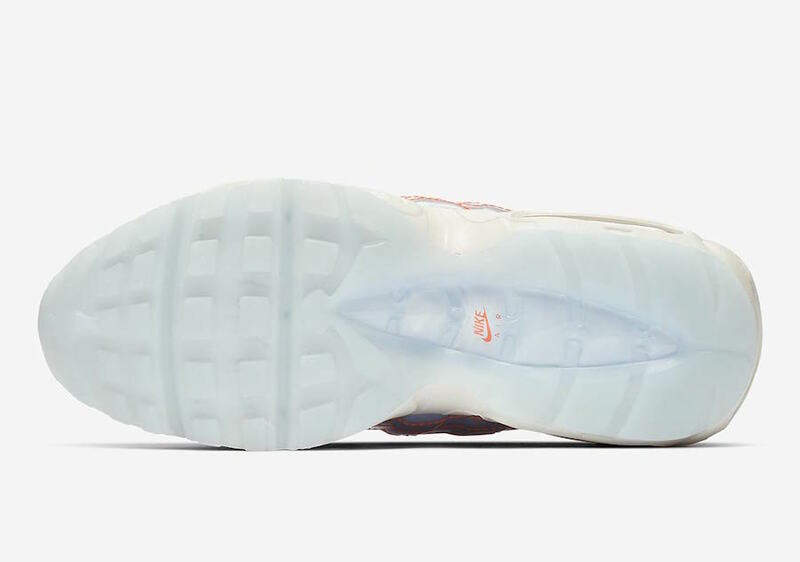 While White covers the midsole, a translucent outsole completes the look. 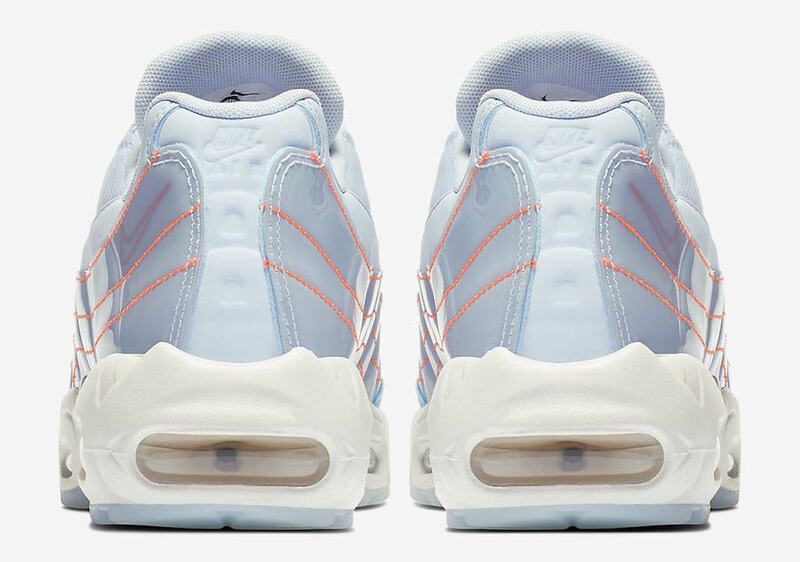 Continue to scroll below to check out more images of the Nike Air Max 95 ‘Half Blue’ which will provide you with a closer look. 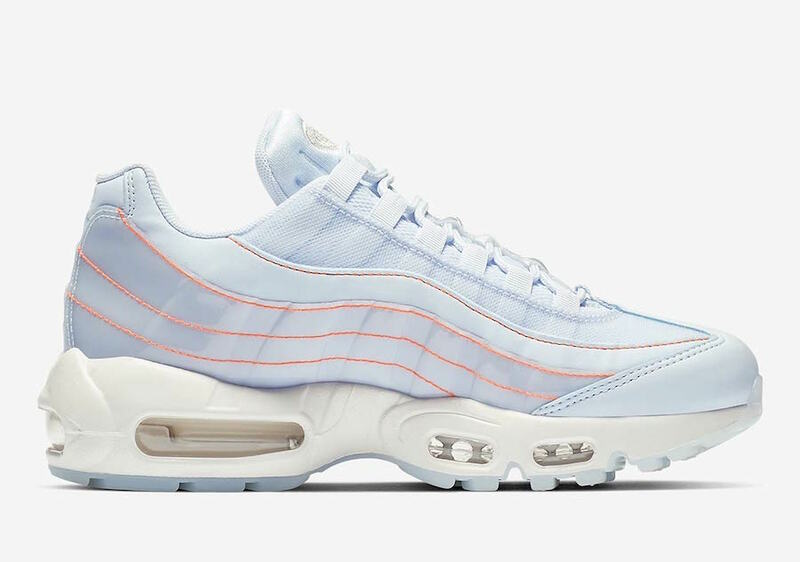 While a set release date has yet to be announced, they are expected to launch at select retailers and online at Nike.com soon in women’s sizing. 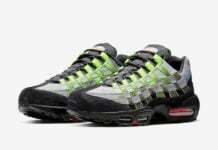 Once more details are available we will make sure to update.